With today’s large selection of hair products such as heat tools, shampoos, hair dyes etc. it is not surprising that our hair can be damaged relatively quickly. We can’t treat our hair like a science lab experiment and expect it to look like we came straight out of a Vogue magazine. But the good news is: there are some hair hacks that will remedy your dry and damaged hair and make it healthy again. In this article, I am going to show you how to fix dry and damaged hair and list some possible causes for your damaged hair. Hair damage isn’t just split ends and frizz. Each of your hair strands consists of three layers. The inner layer, which is called medulla, is surrounded by the middle layer (cortex). The outer layer, which is called the cuticle, is the layer that protects your hair. Once it gets damaged, your hair becomes brittle and dry. Hair that is extremely damaged develops cracks in the outer layer (cuticle). Once this cuticle lifts, your hair can easily get damaged. As a result, your hair may look frizzy, dull and you might have difficulties in styling your hair. All the harsh chemical inputs your hair is exposed to, combined with factors like heat, sun or pollution, can have repercussions on your hair health. So how can you reverse this process and make your hair become smooth and shiny again? 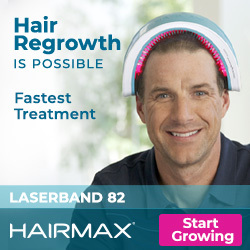 The first thing you will have to do is to find out what damaged your hair. Here is a list of possible causes. Bleaching: Every time you bleach your hair, you are forcing your cuticles to open in order to remove the pigment from your hair. This will make your hair prone to split-ends and breaking. It will become weak, dry and lifeless. Using the wrong hair products: Shampoos that include ingredients like alcohol and sulfates can damage your hair. If you belong to those people who tend to get dry hair easily, using a shampoo that contains alcohol will make it worse. Therefore, you should only use products that are free from chemicals. Hair coloring: The chemicals that are present in hair dyes make your hair shaft porous. The more often you dye your hair, the more it will be damaged. As an alternative to permanent dyes you could as well switch to a temporary dye that lasts through 1-2 shampoo cycles. Less permanent hair dyes have the benefit of coating the cuticle instead of disrupting it. Heat tools: Heat, especially using heat tools, opens up your cuticles and dries up the moisture of your hair. This is the reason why flat irons or curling irons sometimes leave your hair dry and lifeless. Hair dryers can also damage your hair if you don’t use them the right way. Chemical treatments: Perming your hair to make it look curly or relaxing your hair to make it look straight can also cause damage to your hair. Both perms and relaxers use chemicals to break the disulfide bonds between the keratins that make up the hair shaft to curl or straighten your hair respectively. This will damage your cuticles and make your hair brittle and dry. Over-washing your hair: Shampooing your hair cleanses your scalp and removes excess oil and dirt from your hair. However, it may happen that the shampoo starts to strip away all the natural oils (sebum) from your scalp when you over-wash your hair. This will make your hair become dry and brittle. Try to use a shampoo that has milder surfactants. Hairstyles: Whether it’s a ponytail, braids, buns or hair extensions – any kind of hairstyle that causes high tension by pulling on your hair can lead to hair loss and damage your hair. Over brushing: Brushing your hair too much and too often causes too much friction and can lead to breakage and split ends. What Are The Signs Of Damaged Hair? Too many tangles: The cuticles of damaged hair get tangled up easily and often result in knots. The dryness of damaged hair makes it harder to get the tangles out and, as a result, your hair will be more likely to break. Rough texture: Hold your hair upside down and run the ends through your fingers. If the ends feel rough and are sticking out, your hair is probably damaged. Not enough elasticity: If your hair snaps and breaks easily, it is likely that your hair is damaged. Dulled shine: If your cuticles are damaged, your hair doesn’t look shiny anymore. Frizzy and porous hair: If your cuticles are lifted, the moisture will pass easier. External moisture will then collect in the hair shaft and start to swell, which will make your hair become frizzy. Split ends: Take a hair strand and twist it. If the ends are split in two, your hair is damaged, which means you should immediately get a trim. Hair breakage: When you comb your hair or run your fingers through it and your hair snaps, your hair is damaged. Lack of moisture: If you try out different hair moisturizers and nothing seems to work, this is a sign of damaged cuticles that are unable to seal in moisture. Early identification and hair repair: If most of the above mentioned causes apply to you, then it is time for you to start with the right hair care. Maintain a healthy lifestyle: A balanced diet along with regular exercise can restore your hair health. Use a conditioner before swimming: Use coconut oil to condition your hair before you swim. That way you will protect your hair from the harsh chemicals in the water. Trim your split ends: Getting a trim can sometimes be enough to revive your hair. Use natural hair dyes: Try to use tea or henna instead of hair colors that are full if chemicals. No hot styling tools: If you have damaged hair, you should stay away from all kinds of heat tools for your hair. A balanced diet is the key to healthy hair: Crash diets can cause brittle hair and hair loss, which is why you should follow a balanced diet and eventually take vitamin supplements. But before you start taking any supplements, make sure to consult a doctor. No chemical treatments: No bleaches, no perms and no relaxers until your hair has recovered! Use oils: Oil your hair frequently with oils such as coconut oil, olive oil or castor oil to keep it nourished. Massage the oil into your scalp and let it sit for at least two hours before shampooing your hair. Opt for sulfate-free conditioners and shampoos: Always use natural products that are free of harsh chemicals such as sulfate or sodium lauryl sulfate. Once your hair is damaged, you can’t undo it. But what you can do is to take extra care of your hair by changing your habits and avoiding all those things that might be the cause for your dry, brittle, lifeless and damaged hair. Follow the above mentioned tips to see the best results, and if you aren’t seeing any results after a few weeks, schedule an appointment with your doctor or your dermatologist. Thank you for your tips, Ruya! Really nice to know how to protect my hair. I am a natural curly and it’s often very fluffy. And although I do not use chemicals to color and don’t use the hairdryer, after one night in bed it looks like I have been electrocuted. I never thought of using conditioner before going swimming and I will check my products for sulfate or sodium lauryl sulfate. I have had the bad luck of losing most (80%) of my hair because of a prescription. I had long curly hair and then it just began to look like I was a cancer patient. I bit the bullet and got it cut super short. This was hard in itself, because I have always kept my hair long because of it being curly. I can say that everything you list matters. For me, I want my hair to grow back quickly and healthy. I have adopted a few things. I take a good hair vitamin (not the kind you buy in the store), I take collagen daily, I use good coconut oil in my hair, along with other essential oils. My hair is growing back healthy and thick, and unfortunately even curlier! I do have a question as I swim daily. I do not wear a cap since my hair is still so short. If I put coconut oil in it before I take the plunge will it stay in without a cap? Or do I really need to invest in a cap? 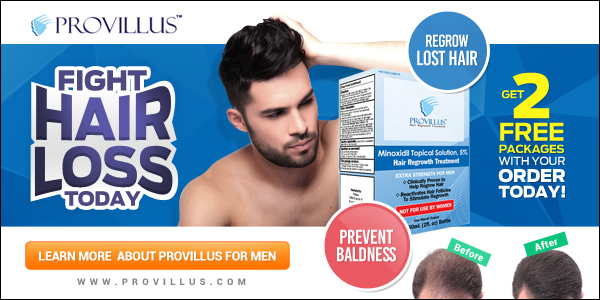 This is a great article about hair loss, finding a solution to your dry hair problem and the best treatment for damaged hair. A lot of people really don’t know about their hair problem. Most of them are not conscious about their hair problem and don’t know how to protect their beautiful hair.The majority of them use shampoos with chemicals, hair dyes as well as heat tools on a regular basis. As a result, it affects their hair. I think this article is very useful for those people who are disappointed and worried about their beautiful hair. Thank you for this great post, I really enjoyed reading it. It is obvious that our hair needs extra care and treatment. Most of the time, our beauty salon personnel are responsible of damaging our hair by using the wrong products which are not appropriate to our type of hair and hair styles which are not corresponding to our hair type….. I will be careful next time when choosing products to put in my hair. Hello Ruya. Thank you so much for sharing these simple but amazing hair hacks on how to fix dry and damaged hair. Reading the background information, I found this post is kinda educative in a way. Hair coloring?? I hope it doesn’t include using a black dye? Oh gosh! I’m so so guilty with those possible causes of damaged hair. BTW, thanks for the fix. Ahh well. I appreciate the advice … my hairdresser told me to eat more bananas because that is a natural source for potassium and zinc, both of which are supposedly good for my hair rejuvenation. I did not know about the benefits of putting oil on it a couple of hours before showering and rinsing it off. Sounds like a good habit to get into. I will try that now. This has nothing to do with me, but my wife will be very happy. She’s been suffering from dry and broken hair for a long time and she tried a lot of things but it seems like nothing works. I will send this post to her and I hope there will be something in it that can help her. Thanks for the informative post on how dry or damaged hair can get fixed up! It’s interesting and lovely to know that no matter how damaged the hair might me, there’s a remedy to fix it and make it come back to its healthy state again. I believe that most women who applied chemical treatments never knew such chemicals could cause any much damage to their hair. I’m sure they wouldn’t have applied those treatments if they had known the repercussions. Thanks for enumerating the tips to fix any dry or damaged hair! It’s so amazing to learn from your post today that doing regular exercises alongside eating a balanced diet can make the damaged hair healthy again.